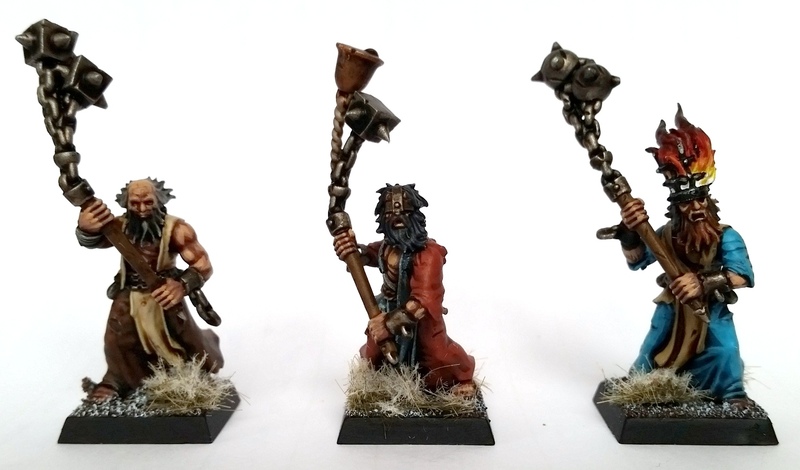 Eight crossbowmen from Gripping Beast. I had a little trouble getting these guys ready for painting; apparently, on two of the models, the front part of the crossbow had either broken off or had ended up not being cast. So I had to get the bit box out, and salvage some spare crossbows from Fireforge foot sergeants for parts. The two chaps on the left of this first picture are the lucky ones. Doesn’t look so bad, eh? The second warrior from the left is my favourite. They were painted up in much the same way as the cavalry I showed you earlier. However, because of the fact that only one of these guys has a shield, I decided to incorporate some of the blue and white heraldry into their clothing. That’s it for now, although I do have another blog update waiting for this evening or tomorrow. Stay tuned! 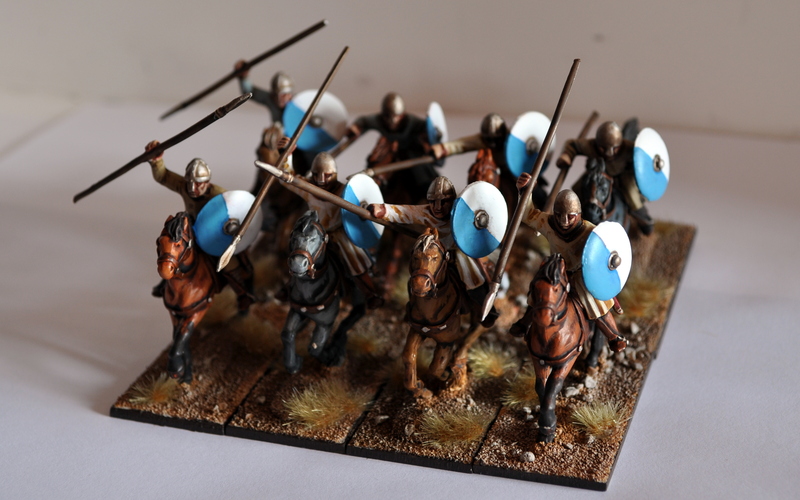 Here’s the second part of my most recent commission paintjobs: a unit of eight Breton cavalry painted up as early crusaders. 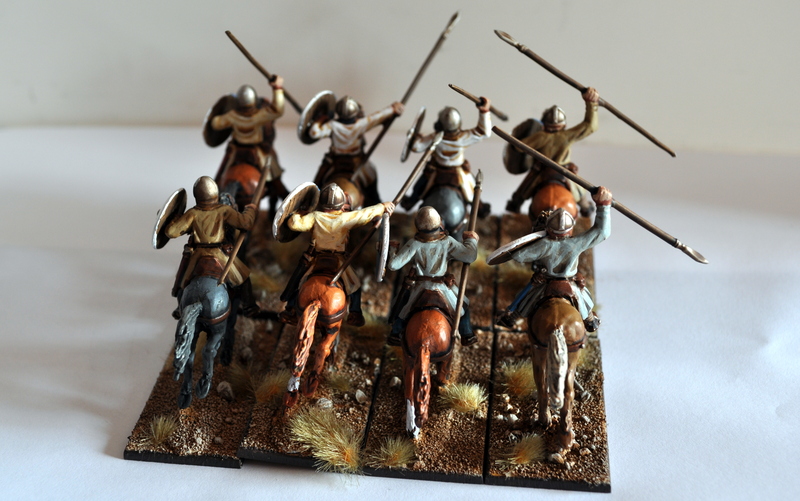 Eight cavalry from the Breton Warriors pack for Saga, by Gripping Beast. 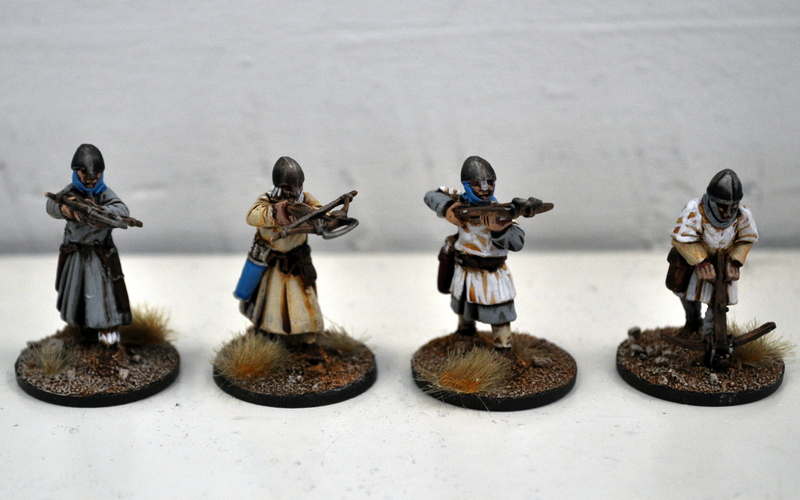 There’s nothing special about these models at all; it’s just tunics, trousers, a helmet and a round shield. 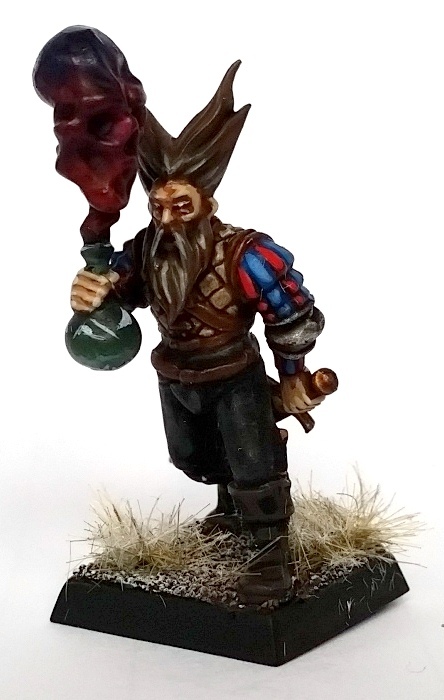 The commissioner wanted earthy tones for the models themselves, so I went with a variety of bone colours plus some light grey. I did add some small red and orange accents on scabbards and the like, but these were kept to a minimum. The back of the unit shows the rudimentary highlights I applied to the tunics. I really like how the shield designs turned out – they were the commissioner’s idea, and while he’s very much a laissez-faire (or laissez-peindre in this case?) fellow, he asked for this design specifically. The white’s just plain white, and the blue is a basecoat of teclis blue with a highlight of lothern blue. Again, very simple stuff. That’s it for today, dear readers. I’ve been painting horses today for both ACW and Pike&Shotte cavalrymen, so these will be appearing on the blog shortly. 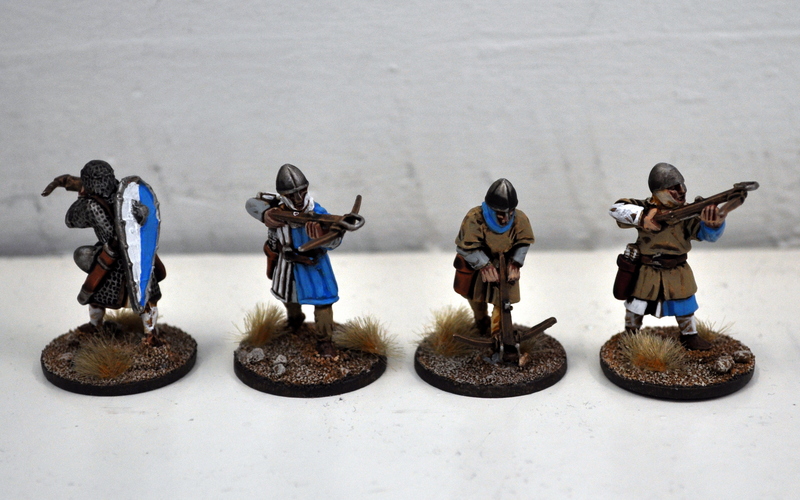 I also have some crossbowmen left for this commission – and I will be paid along the lines of several Perry early crusades blisters. In short: there are a plenty more saracen-slaughterers on the horizon!